The doctor, who had been arrested in connection with the Gorakhpur tragedy, had asserted his innocence in a letter earlier this week, emphasising that he had gotten involved out of humanitarian concerns. 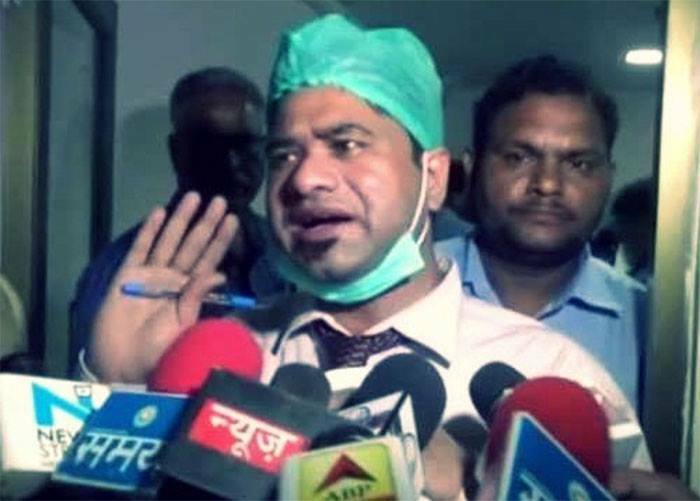 Months after the Gorakhpur tragedy where at least 23 children died in a short span of time, allegedly due to a lack of oxygen, Dr Kafeel Khan, one of the accused doctors, has managed to get bail. Khan had been in jail for seven months. His bail application had been rejected by the sessions court and he had been unsuccessful in getting a date for the bail hearing at the high court as well, until now. A single judge bench has now granted him bail and said that as the charge sheet had already been filed, he did not have to be remanded in custody. Khan’s case attracted attention as he had taken the initiative to secure oxygen from a number of nearby hospitals and agencies as oxygen supplies were allegedly running out at the BRD Medical College in Gorakhpur in August, which resulted in the death of infants who were dependent on it. Despite this, the police arrested and charge-sheeted him. Some charges of corruption and running a private practice have been dropped however. Apart from Khan, the principal of BRD Medical College and his wife, as well as another doctor at the hospital and lower administrative staff were also in jail. Both the principal and the other doctor were not in Gorakhpur on the day of the tragedy. Khan said that he was also on leave on the day of the tragedy, but began gathering oxygen cylinders for the infants out of humanitarian concerns. Last week, Khan’s wife and brother addressed a press conference in Delhi, cited many reasons for why they believed in Khan’s innocence and called out the injustice of him not getting bail. They also said that Khan was ill and was not being taken care of well enough at the prison where he was lodged. In his letter, he said that his family was being harassed and was living in fear. “ My family, my mother, my wife, my kids were so scared that I do not have words,” he wrote. He also said that it was the hospital’s administrators who were responsible for the lack of oxygen as they had not cleared lakhs of dues to the oxygen supplier agencies. Khan asserted that he was innocent as he was not involved in the purchase, tender, order, maintenance, supply or payment for liquid oxygen cylinders at the hospital. Over 200 health professionals and allied activists wrote a letter to Uttar Pradesh chief minister, Yogi Adityanath, demanding justice for Khan, his immediate release and the dropping of “false charges” against him.